Passive House Climate Files for NZ | Sustainable Engineering Ltd.
As of 13 December 2017 there are six additional PHI certified climate files for NZ. These now cover all of NZ including the Chatham Islands. It is important to note these are all (excluding the Chathams file) based on work done by NIWA to develop regional files for NZ and this last set of climate certification work done by PHI was funded by PHINZ. Thank you and Happy Holidays everyone! 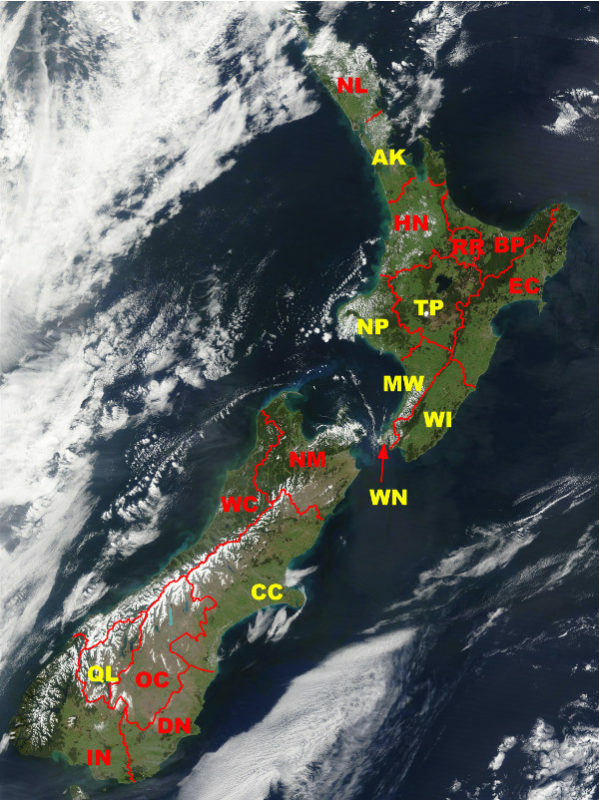 Climate regions in New Zealand – all now available and certified. You are required to use the certified files unless your PHI certifier has directed you otherwise. The thermal comfort temperature is used in PHPP to estimate if the window and associated thermal bridging meets the thermal comfort requirements of Passive House Certification. The temperature in PHPPv9.6a for Christchurch NZ0003a is incorrect. The corrected value is -3° C and should be entered into the windows sheet of PHPP. Your certifier should notify you of this but if they forget please remind them. Political boundaries of climate zones. 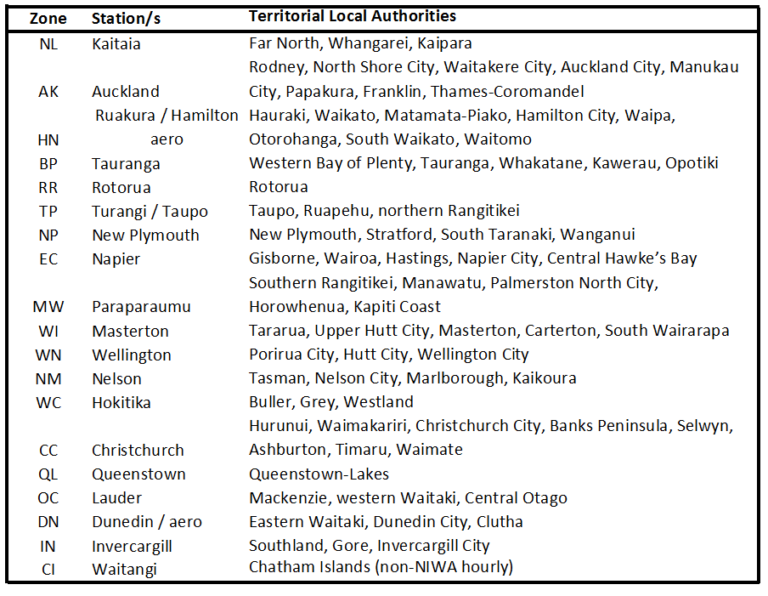 These zones and the hourly data files used by PHI to produce the certified climate files were developed by NIWA except for the Chatham Island zone and file. This paper was presented at the 2015 South Pacific Passive House Conference. This pdf file is of the slides presented at the 2015 South Pacific Passive House Conference.